Team India looks to be good shape in the preparations for the World Cup 2019. The Men in Blue have won the ODI series in Australia and New Zealand recently. They not just won but dominated in both the tours. Captain Virat Kohli and coach Ravi Shastri seem to have found the core squad for the mega event to be hosted by England and Wales later this year. Historically, India has been a side with strength in the batting department. But in the year gone by, it’s been the bowlers who have risen big time. Fast bowlers like Jasprit Bumrah, Bhuvneshwar Kumar, Mohammed Shami have been tremendous in India’s success. Also, the spinners Yuzvendra Chahal and Kuldeep Yadav have played pivotal roles. But before the World Cup, the Indian Premier League is also scheduled to be held. Ravi Shastri is concerned over the workload of the bowlers. The league is always hectic due to consistent traveling and frequent matches. The coach mentioned that the team management will urge the franchises to keep an eye of the workload and the fitness of the bowlers. “They have been in excellent rhythm so far. During the IPL, we will try and speak to the franchises and their captains. We want to make sure that they play only an optimal number of matches without affecting their fitness or form for the World Cup. We will seek proper rest for them, so they are in absolute readiness for the World Cup,” said Ravi Shastri in an interview with Cricbuzz. “Even after IPL, we have 10 days, so we will take care of certain aspects and work from there. But during the IPL it is extremely important that they work on their physical fitness and on their skills. We will be talking to all our players and franchises about their workloads. 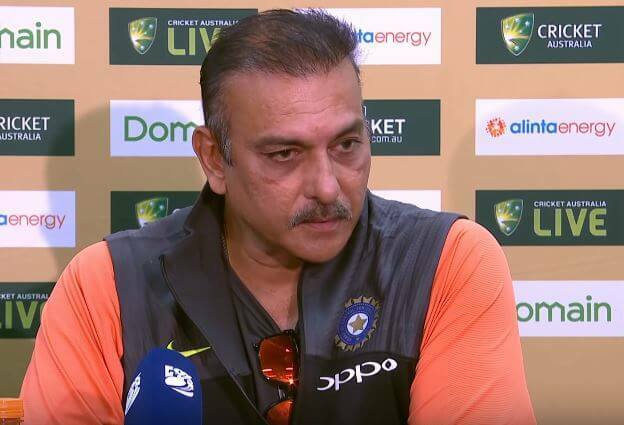 Even though we cannot interfere too much, we definitely will be talking to players to maintain their optimal performance state,” added Ravi Shastri.